We carry a large amount of men’s wedding rings in many different styles. We carry everything from Tungsten Carbide, to Titanium, and different golds. 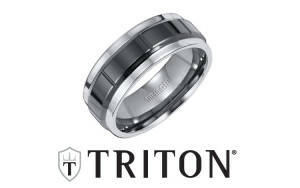 Artcarved and Triton are the industries leading manufacturers in men’s rings. 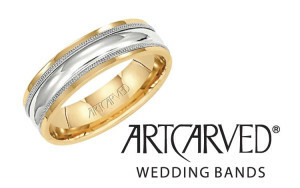 Artcarved carries their award winning styles and warranties that can’t be beat.